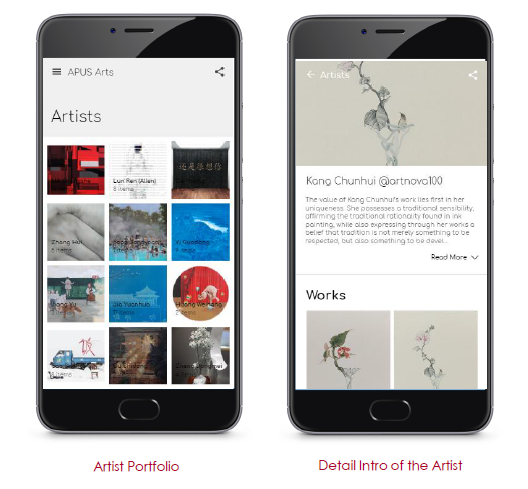 [Press Release] – APUS Launches APUS Arts, a brand new feature for young artists and art lovers around the world. In an effort to combine technology and arts, APUS aims to launch this platform to promote and support young artists. APUS CEO, Li Tao announced to launch Online Arts Museum during “Art Nova 100” event in Beijing China on August 8. Arts works from young artists will be displayed on APUS Arts with description of the piece of art and artists portfolio. Initially up-to 100 artists got featured on this platform and later more artists and museums will be included to APUS Arts. Young artists has unique art work to display including traditional canvas paintings, digital art work, new media art and sculptures. Language of arts is universal and people around the world understand and like arts masterpieces. Presenting this art to global audience will be a milestone for artists and global users will be able to see their art work. Arts work and its related stories will move your heart and will develop more interest into thousands of art works. It will help users to understand cross cultural art works and get to know more about young artists inspiring the world. Initial model of Online Art Museum has already been launched as beta within APUS System/APUS Launcher. However, more features will be included in upcoming version and more art work and artists are expected to join in. In upcoming features, it is expected to watch art galleries in videos and more likely to add VR for viewing art works. Based on users interest, APUS will keep expanding and include arts from more countries in future. APUS already achieved over 1 Billion users globally and created a tech ecosystem for global mobile users. In this effort APUS successfully ended boarders and connected users from over 200 countries. APUS Arts aims to create a boarder less culture and arts which can be reached and accessed by global users. 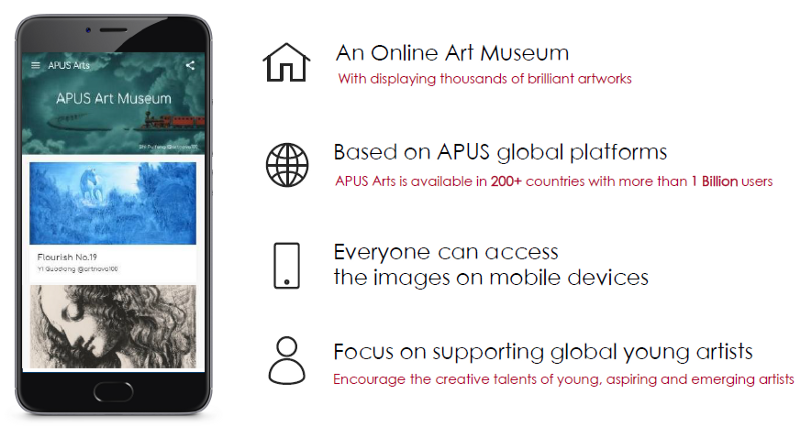 With cutting edge technology & Big Data, APUS also has the capabilities to connect the global art and promote young artists with one platform. Dedicated space is available on APUS Arts for artists where they will have their profile and portfolio of their art work. Many artists and museums already shown interest to this Online Arts Museum and cooperation are under process to be part of APUS Arts. It brings hope for artists to reach global audience and get recognition for their work, they are looking into APUS Arts as an opportunity for them. In future APUS also plans to launch “International Youth Art Competition” for most creative young artists around the world. APUS Arts Fund has also initiated to support young and emerging artists to produce quality arts work and launch exhibitions.